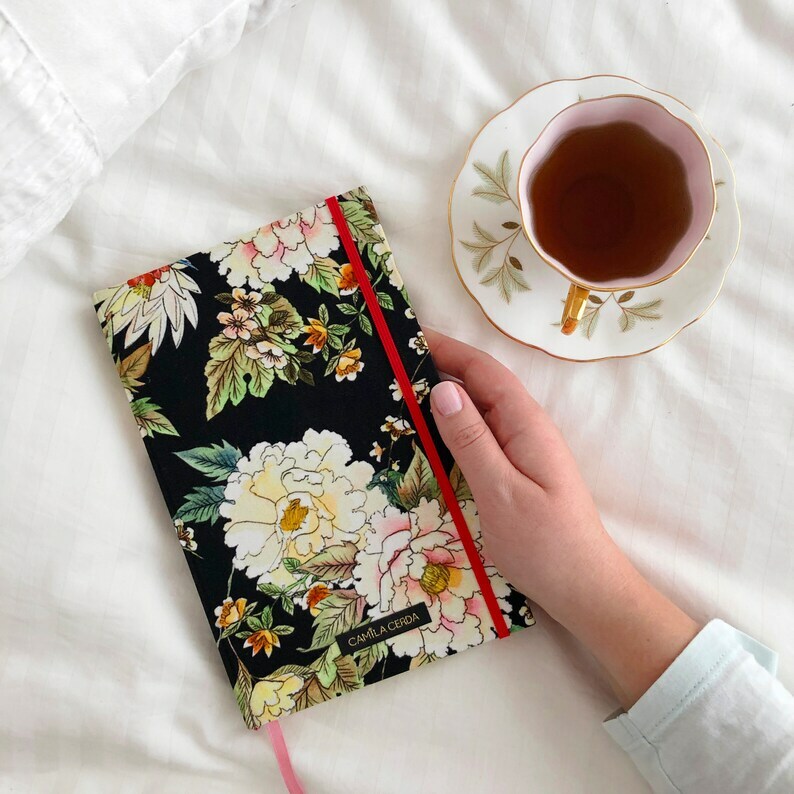 This handmade notebook is one of a kind, covered with a lovely fabric illustrated by me and printed in Italy. Is part of a collaboration series between Ediciones Navegantes (Chile) and I. This notebook is perfect for making sketches, writing your personal projects, to keep it as a journal, etc. It was made with care and love, so is perfect for writing anything that it's special. 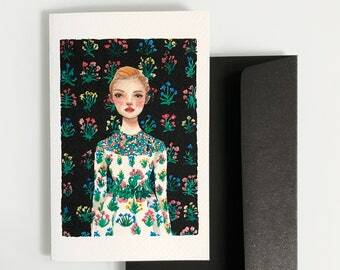 This beautiful notebook was designed and handmade by Crist, from Ediciones Navegantes. 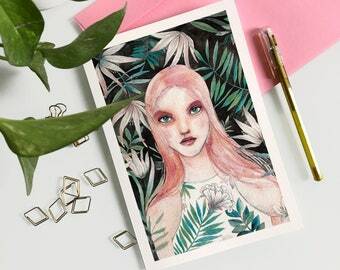 Cristi is a Industrial Designer based in Santiago, Chile, who creates beautiful handmade notebooks. The whole process is completely made by hand: Cristi cuts the fabrics, glues them onto a cardboard, sew the pages, assembles the notebook, etc. Isn't that amazing? 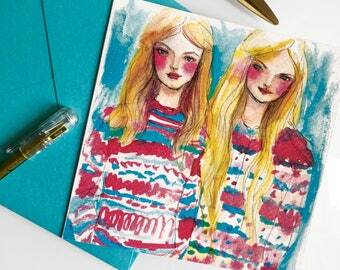 The fabric that covers the notebook was illustrated and designed by myself with watercolors. It was printed in Como, Italy. 100% viscose. The size of the notebook is 21,5 x 13,5 cm aprox. It has 80 blank pages. Front customized with a small label with my logo, in golden embroidered letters. 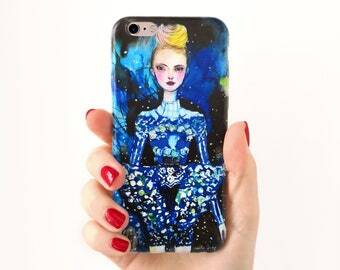 Worldwide shipping from Italy, with Poste Italiane. I use standard shipping, which doesn't include a tracking number. 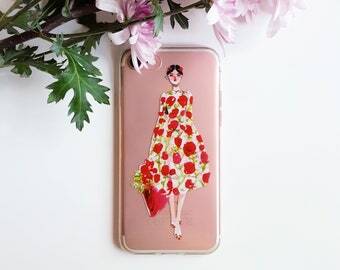 If you would like a tracking number, please upgrade to Raccomandata shipping method.